Big Sky Therapeutic Services, PLLC, is an independent mental and behavioral health treatment center that was formed in 2006. Since then, we have grown to include 3 part-time and 2 full-time staff members. Originally, our services included only outpatient mental health services, and now have expanded to include in-home parenting, in-home early intervention services, applied behavioral analysis, behavioral health services, consultation, and other related services. Our current goal is to increase services for individuals with autism, related disorders, and other behavioral health disorders to help families and agencies meet the needs of this population. Brett has been working in the mental health field for over 18 years. He earned a bachelor’s degree in counseling psychology from the University of Great Falls in 1997, obtained a Master of Science degree in counseling, and became a Licensed Clinical Professional Counselor (LCPC) in 2001. In 2012, he obtained a master’s degree in special education from Montana State University in Billings, and achieved status as a Board Certified Behavior Analyst (BCBA) in 2014. The BCBA certification furthered his work in the field of autism spectrum disorders, as well as severe disruptive behavioral health disorders. During his career, Brett has worked for Full Circle Counseling Solutions, A.W.A.R.E., Inc., and Center for Mental Health. He currently owns and operates a small private practice, Big Sky Therapeutic Services, PLLC, which he started in 2006. Brett consults with schools, daycares, Head Start programs, agencies, and families across Montana to help assess and design intensive behavioral health intervention plans. His focus areas include working with individuals with developmental disabilities, autism spectrum disorders, and/or severe mental and behavioral health challenges. Brett’s community service includes volunteering his time to serve on the board for the Great Falls Early Childhood Coalition (GFECC), 2011-present; Friends of Autism Great Falls, 2015-present; Sensibility: Autism School, 2017-present; and Very Special Arts (VSA) program in Montana, 2007-2016. Brett spends much of his time providing training, support, and mental health counseling for the autism spectrum population, as well as assisting families in advocating for special education services for their children. Although the field can be challenging, he genuinely loves his work and finds helping others highly rewarding. Brett is married with four children, and enjoys attending the University of Montana Grizzlies football games with his family. He also appreciates reading (particularly science fiction and fantasy), supporting his children in their sports, learning about computer programming and technology, and playing board and card games with friends. 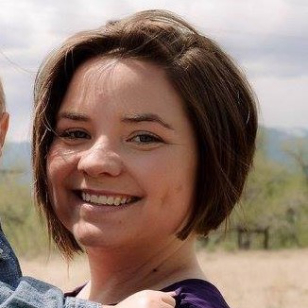 Aimie has been working as a Family Intervention Specialist, Registered Behavior Technician (RBT) and SafeCare Provider with Big Sky Therapeutic Services since July, 2014. She started her professional career in the financial services and consumer loan industry before returning to college to follow her childhood dream. Aimie finds joy in helping others obtain their full potential. As a child she dreamt of working in the human services field. After she became a mother, she decided to leave the business world behind and follow her childhood dream of helping others. In 2015, Aimie received a Bachelor of Science in Social Psychology, and shortly after became a Registered Behavior Technician in the field of applied behavioral analysis (ABA) to work with children with special needs and challenging behaviours. While the work is very challenging, she enjoys the opportunity to help others. Kim joined our agency in August of 2017. One of the things Kim is passionate about is training service dogs for Canine Companions for Independence, a non-profit organization that provides service dogs to people with disabilities all over the United States at no cost to the recipient. She takes an 8-week-old puppy and voluntarily trains it until it is 18 months old and ready for advanced training to go to his/her forever person. Every dog goes through a specialized training that prepares it for the unique needs of the individual the dog will be assigned to. She has raised 4 dogs since living in Montana, and is currently raising her 5th puppy. In addition to training service dogs, she has over 6 years of experience working with families and children in schools, homes and the community. She is well-versed in working across organizations and knows how to engage and collaborate with others. Furthermore, Kim is actively involved in many community organizations: the Air National Guard Key Spouse program, serving as Co-President of the Great Falls Lacrosse Club, being a Kiwanis and PTA member, and is actively making a difference for her community. She has a difficult time saying “no” because of her love for others. Because of this love for others, she continues to work with children and families now in our agency. Kim is a SafeCare Home Visitor, teaches Parenting Forever, a court ordered co-parenting class as well as working as a family intervention specialist. Anne has worked in the field of applied behavior analysis for 6 years, and is currently working as a Board Certified Behavior Analyst (BCBA). She has experience working with children and adolescents diagnosed on the autism spectrum, and other medically fragile disorders. Her experience includes working with individuals in centers, in the home, and helping start classrooms in ABA. Anne completed her undergraduate degree at Lindenwood University, and her graduate degree in ABA at Ball State University. Anne loves spending time with her husband and their 2 sons.